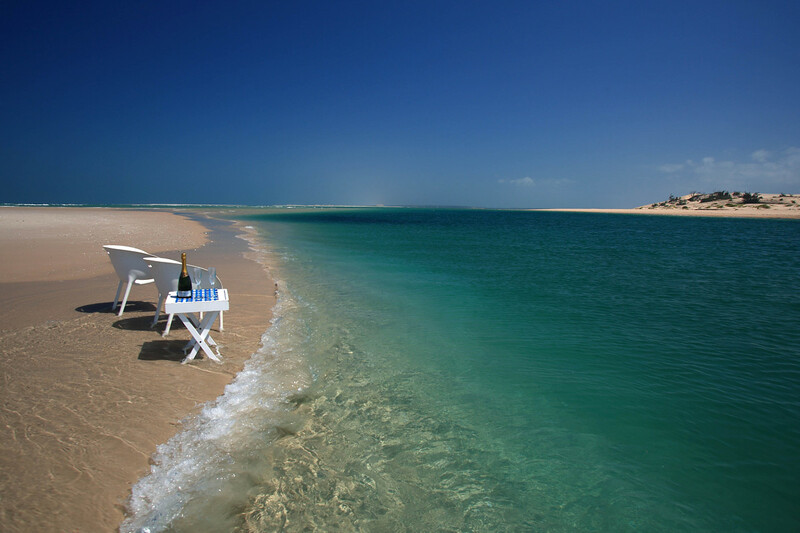 Azura Retreats offers you the ocean safari, from excellent diving sites, fun water activities, and whale-watching, to fishing for local species, educational guided marine walks, where crowds of ghost crabs scuttle by, and incredible turtle sightings, these two 5-star Mozambican destinations will help you create unforgettable memories. 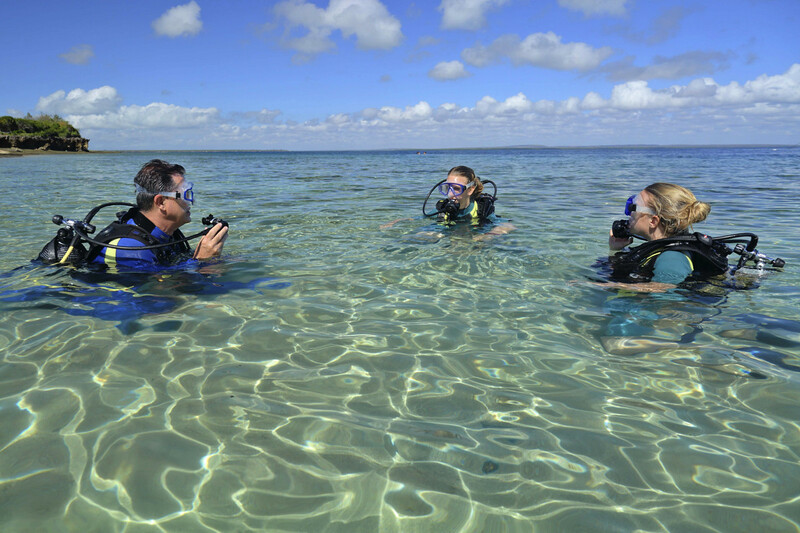 If you are interested in learning to dive, contact our dive instructors. We highly recommend that you complete the theory portion of your course at home, before your holiday. That way, you’re ready to start diving as soon as you arrive and will get to spend more time exploring the waters around the island. On your ocean safari family adventure at either Azura Benguerra Island or Azura Quilalea Private Island, you will be given the rare opportunity to dive or snorkel in some of the most spectacular scuba diving spots in the world, allowing you to discover an underwater world that is visited by just a few lucky divers each year. Bleach-free coral reefs and the deep drop-off of the Mozambican shelf, means that you and your family will be able to dive in some of the healthiest coral reef systems in the world. 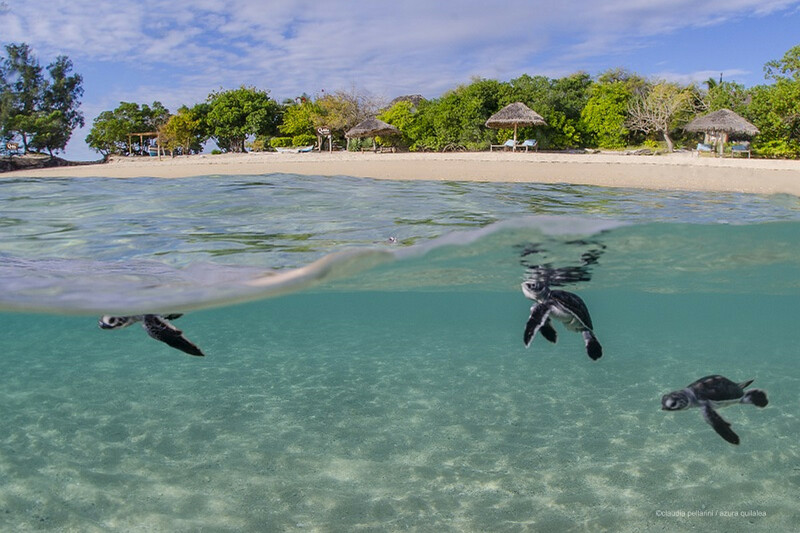 For those interested in a completely unique beach experience, go on a family adventure to spot the turtles and enjoy a turtle beach picnic close to their nesting grounds at Azura Quilalea Private Island. It is not unusual to find them nesting on the island’s beaches at high-tide. Quilalea Private Island is one of the most important nesting sites in the whole Quirimbas Archipelago for Green and Hawksbill Turtles. 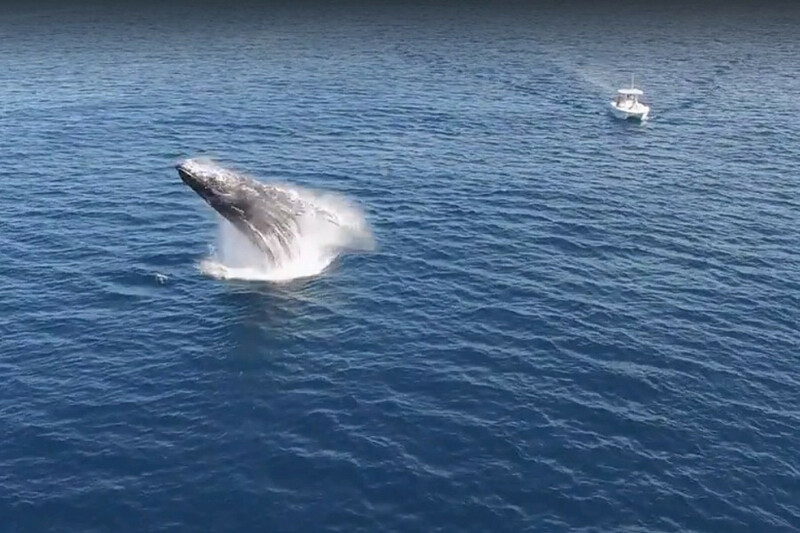 From July to October each year, the oceans surrounding Azura Quilalea Private Island and Benguerra Island come alive with Humpback Whales, as they make their way to warmer waters. 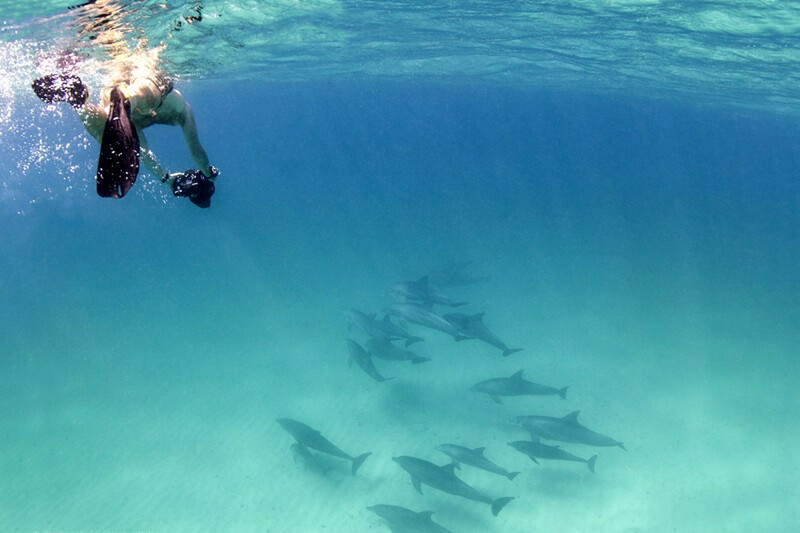 Take to the ocean to capture this incredible work of nature, and watch as dolphins catapult themselves out of the water, mingling with their friends and providing wonderful entertainment for onlookers. Fishing, a wonderful activity for beginner and experienced fishermen/women alike, which is a favourite pastime at both Azura Benguerra Island and Azura Quilalea Private Island. The location of each island makes them superb spots for year-round fishing. Azura Quilalea Private Island is one of the best sport fishing centres in the world, where one might be lucky enough to catch a Giant Trevally nearing 50 kilograms in weight, whereas Azura Benguerra is very well known for its Sailfish and Marlin. 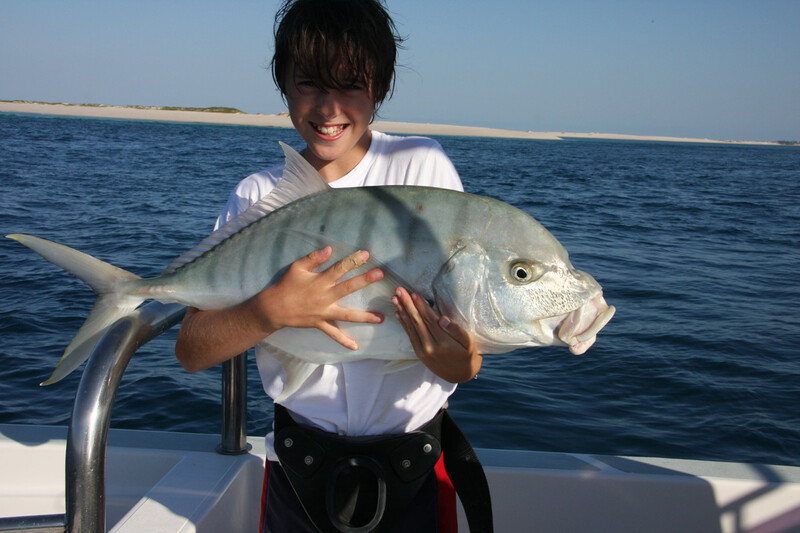 Both retreats however adhere to a strict catch and release policy, in the interest to preserve the marine life in Mozambique. A day spent fishing for much sought after native fish such Yellowfin Tuna and King and Queen Mackerel, may very well become a delightful feast for dinner. Share your favourite recipe with the chef, and delight in fresh flavours and local ingredients set against the beautiful backdrop of the African sky lit up. Most people seek the ocean knowing that it holds something special for them and with Azura Retreats Ocean Safari it does, there’s no better option then to merge your safari on land with a safari of a different kind.